We are so lucky to live in the West Country with its wealth of local produce and so fortunate to run our Restaurant La Petite Maison in the beautiful town of Topsham. At La Petite Maison our philosophy, where possible is to utilise local producers and suppliers .We have a fantastic cheese supplier on our doorstep. 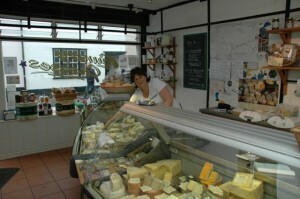 Country Cheeses are owned by Gary and Elise Jungheim who started on a market stall in the Pannier market on Tavistock. Twenty years on they have three shops, Tavistock, Totnes and of course Topsham. They stock over 100 different cheeses and the vast majority coming from the West Country for which they have received numerous awards. 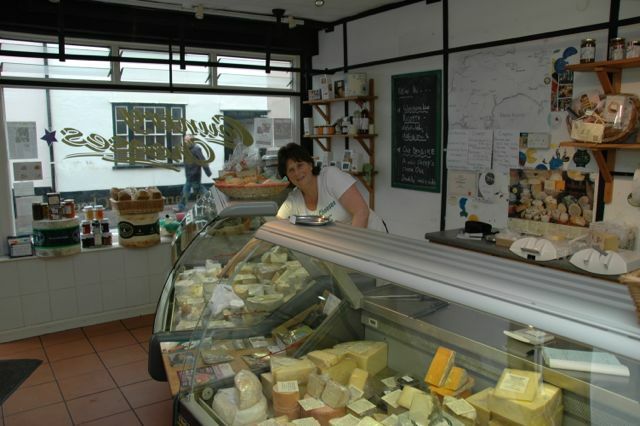 The team in Topsham and for sure in the other branches are all well versed in the different cheeses and are always helpful to make your choice if you need it, especially if you require a certain cheese or vegetarian rennet. They are so helpful and will always give you a morsel to taste. 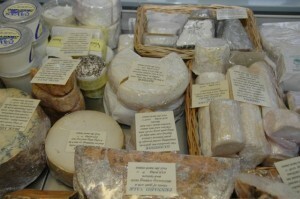 They have a fantastic array of other produce- butters, bread, biscuits, Chutney, preserves, local fruit juices etc. The fact that they are on our door step enables us to change the variety we offer, as cheese tastes change with the season ,ageing,as it is always evolving. I will be writing more blogs about Topsham and local suppliers that we use and love. To all of you that are interested in good food and drink .